Yoshinori Sunahara is a Japanese DJ and club programmer, particularly prominent in the Shibuya-kei and chillout scene. 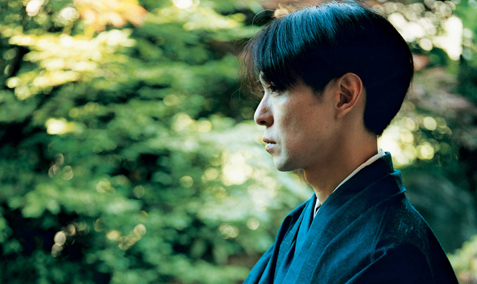 He was born in Sapporo, Japan, on September 13, 1969. His style consists of a mixture of funk, bossa nova, Shibuya-kei, and 70’s music. He is known to be infatuated with airplanes, as several of his albums have to do with flight. Sunahara adopted the alias Marin while joining the techno group Denki Groove in 1991. He made his solo debut in 1995 with the album Crossover. The album was highly acclaimed by artists of all kinds. 1997 Denki Groove’s 9th single ‘Shangri-la’ & 8th album “A” both sold over half million units. In Autumn, “Crossover” was released in Europe by Bungalow Records, Germany. In 1998 the 2nd solo album “Take Off And Landing” was released in Japan (May) and Europe (Autumn). Both solo works were praised as “the birth of new electronic music by the next generation” in Europe. Sunahara’s DJ tour took place simultaneously in Europe (mainly in Germany) which many journalists attended. In April 1999, Yoshinori went solo permanently and was no longer part of Denki Groove. November 3rd, the album “The Sound Of ’70s” was released. Lately, Yoshinori has been expanding his work field to production & remixing of music by other artists. Such activities include collaborations on Yukihiro Takahashi’s album & production work on ACO’s breakthrough single ‘Yorokobini Saku Hana’.